"In my most recent school role, I was tasked with leading our school’s transition to personalized learning. 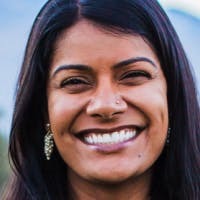 Our staff saw incredible potential in using technology in thoughtful ways to meet the needs of every student" argues Rupa Gupta, founder of Sown to Grow. She was previously Redesign Administrator at Burnett Middle School in San Jose, Calif.
We installed carts, purchased softwares, held numerous professional development sessions, and even hired consultants to help—all with the intent of serving the individual, diverse needs of each and every student. We focused a lot on helping students work at their own pace and access content at the appropriate level. (For example, one student might read an article at a 4th grade level and another would read the same article at an 8th grade level). We saw growth in NWEA scores, but in all honesty, the gains haven’t really stuck year over year. And we’re still far from the accelerated growth needed to close achievement gaps. On reflection, I wonder if we spent our time and energy personalizing the wrong things. We focused on pacing and content, but not on each student’s individual learning skills (and all the differences among them). I now see that personalized learning environments require personalized learning strategies. And playlists alone don’t get us there. In 2015, our school was selected to join the first cohort of a personalized learning program that involved a web-based technology platform, curricula, digital assessments and extended training. A foundation of the program had students learn the content (facts, definitions, procedures) largely on their own. Students work through an online set of activities—called a playlist—for each topic. They then take a quiz to demonstrate mastery. Ideally, this is done with little adult support. That way, teachers can spend more time working with students on application of content and projects. Recently, I visited a 2nd grade classroom where the teacher integrated weekly reflection on nonfiction reading. Students tracked their own comprehension scores for the week, and wrote a short reflection on the strategies that worked best and new ones they might try. On the wall, there was a student-created poster of reading strategies they had developed as a class.